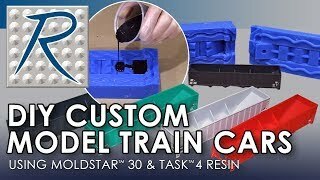 TASK® 4 is a unique polyurethane casting resin that is very strong when cast in Ultra-Thin sections ranging from 0.03” to 0.50”(0.075cm to 1.27cm). 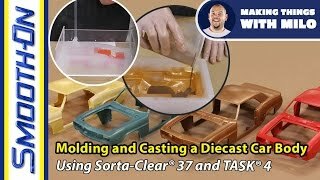 TASK® 4 has a very low mixed viscosity, ensuring flawless pick-up of even the finest detail. Cured plastic exhibits very low shrinkage which is why this plastic has become a favorite of prototype and design professionals throughout the world. Slow-Setting Ivory Liquid Plastic - Ideal for Casting Thin Sections. Doxy 5® Vacuum De-Gassing Agent will aid in vacuum degassing Smooth-On urethane plastics.